I was featured on the Fotomoto website as Artist of the Day on April 26, with my photo of the Currituck Beach Lighthouse. I am in the process of converting all of my galleries to use Fotomoto as the order fulfillment service in the next few weeks. The Outer Banks gallery is the first (and the prototype) to be converted. 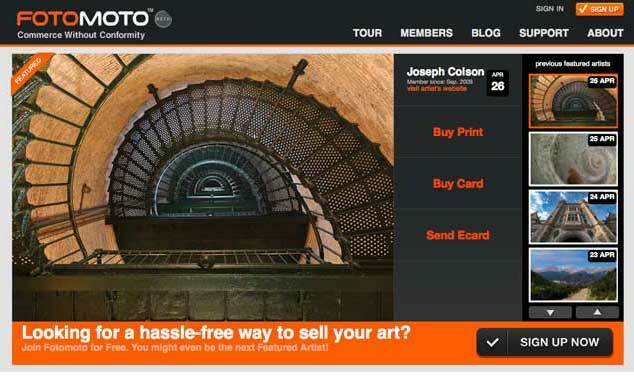 “Fotomoto is an e-commerce system that gives independent photographers and web publishers the power to sell their work on their own site, using a simple toolbar with a “click to buy” button. We don’t claim to be the “leading” e-commerce system for website owners, nor are we on the “bleeding edge” of “Web 3.0″ technology. And we’re certainly not trying to “start a technical revolution”. We just think it makes more sense to bring the technology to the place your art is, not the other way around. Isn’t that simple? We love making things simple, and we are working hard to do that. 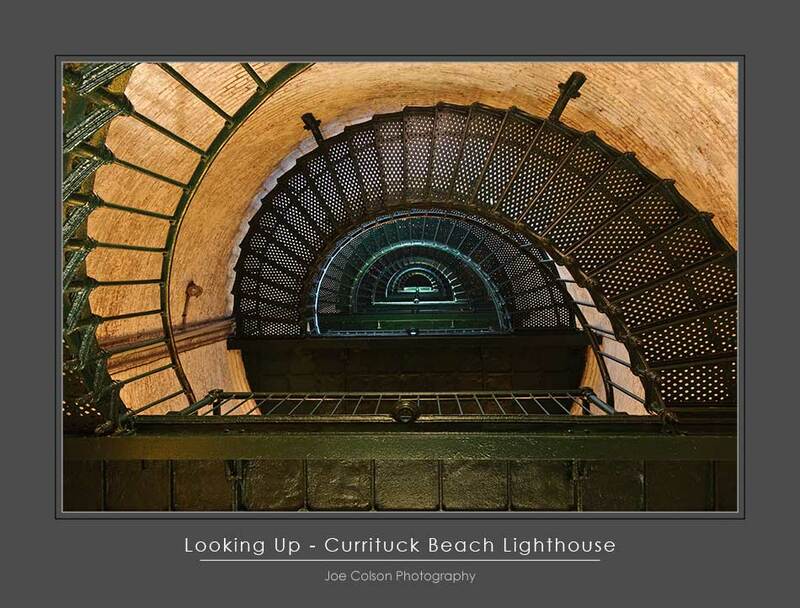 The photograph was taken inside the lighthouse, looking up at the stairway, winding to the top of the light. I just returned from a photo trip to the Great Smoky Mountains and the NC Outer Banks. My old friend, Ron Basinger from Illinois, joined me for the trip. 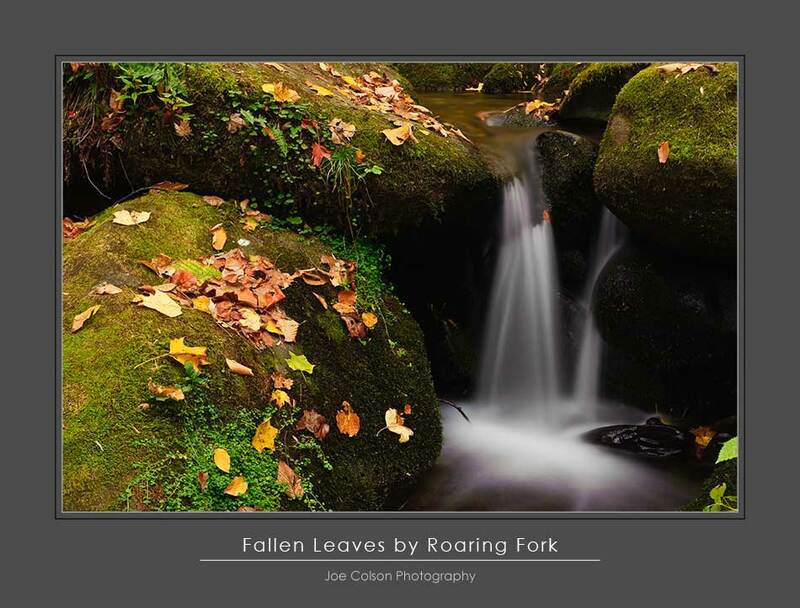 Fall colors were peaking or just past their peak in Tennessee when we arrived, and we had several good days of shooting in Cades Cove, Tremont, along the Little River and on the Roaring Fork Trail. When we drove back to North Carolina, hoping to catch the colors along the Blue Ridge Parkway, colors were well beyond peak and many trees had lost their leaves. Not to be skunked, we drove to the Outer Banks and shot there for a couple of days, enjoying the late season solitude, with few tourists and little traffic. Images from the trip are included in the Smoky Mountains and Outer Banks galleries. Ron has a gallery of photos from the trip on pBase.